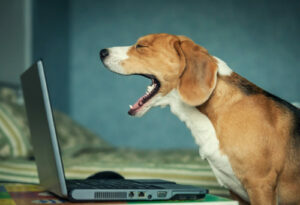 What would you do if someone attempted to sell your dog on eBay? What would you do if they succeeded? This may sound like an episode of the Twilight Zone, but one German family lived through this trying ordeal. You read that right. 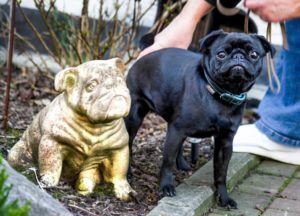 When they fell behind on their debts, a German official collected and then sold the family’s beloved Pug on eBay. The story takes place in Ahlen, a northwestern German city. When a family fell behind on their bills (including the city’s $90 annual dog tax), a debt collector came calling. The collector looked to recover the family’s most valuable asset and he decided it was Edda, their beloved purebred Pug. Local reports said Edda belonged to a family of five, two adults and three young children. The father of the household had become a paraplegic after a work-related injury. After the city seized the pup, they proceeded to sell her on eBay for 750 euros (about $850). According to The New York Times, a spokesperson from Ahlen called this “a pragmatic solution” to settle the outstanding debt. How does the saying go? The truth is often stranger than fiction. If you think Germans don’t love their dogs as much as Americans, think again. More than 80% of Germans consider themselves to be animal-lovers and they spend about $4Billion a year on their furry friends. Needless to say, there was public outrage when a local government official sold this family’s Pug on eBay. We imagine the reaction would be similar if this happened in the US. After the city confiscated Edda last year and subsequently sold her online, they said the sale was legal and justified because she was such a substantial asset. City officials said since Edda was set to sell at such a high price, her sale met the legal standard of whether or not she was valuable enough to cover debts. According to the German news agency dpa, Ahlen’s treasurer, Dirk Schlebes, defended the sale, saying the seizure was legal under foreclosure laws. We’ll take a moment to pause here so we can all recognize that our dogs are priceless. 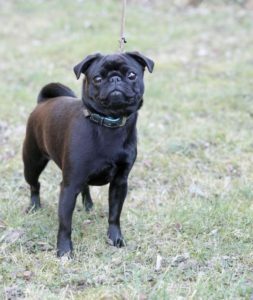 The story earned international media attention because the police officer who purchased Edda, Michaela Jordan, was not pleased with the state of the Pug. Jordan told local newspapers that she intended to sue the city for the high veterinary bills Edda incurred. Unfortunately, the sweet, one-year-old Edda was not an extremely healthy dog. She has needed extensive healthcare treatment since the sale was finalized. “I’m really upset,” Jordan told Bild. “The dog had to be operated on four times.” At the time of the Bild’s article publication, Edda had a fifth surgery scheduled. USAToday reported that Jordan has spent more than double what she paid for Edda in medical bills. She is currently keeping the pet, but BuzzFeed noted that Edda’s family desperately misses her and wants her back. Of course. Stop for a moment and think: how would you feel if your family dog was taken away and then sold online. It’s unimaginable. Our pups aren’t there for decoration, they are members of our family. Would you sell a child on eBay? Never! Taking a pup away from its home sounds like cruel and unusual punishment. We hope that Edda is well taken care of, wherever her home may end up being. And with all the negative attention for their small city, maybe the officials of Ahlen will decide to stop taking dogs as a form of debt collection.